Royal Chocolate Cake decorate the cake with the rest of the chocolate. 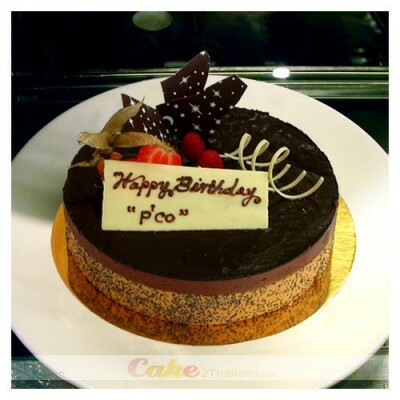 Royal Chocolate Cake, G8 - Servings 6-8 persons. Royal Chocolate Cake decorate the cake with the rest of the chocolate praline is special recipe from Cake 2 Thailand ® Presented in a beautiful gift box. Sure to be impressed. Free delivery in Bangkok and surrounding area.